the Montagne de Reims, on vineyards managed by us. 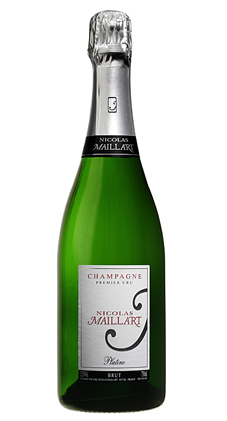 around three years on its lees, this Brut Platine develops all its richness. A natural balance and freshness allows a low dosage (7 g/l). Eye: Golden in colour with a fine, lingering bead.